Not sure how this slipped by but last week Everett Truerevisited his review of Galaxie 500's Blue Thunder single. 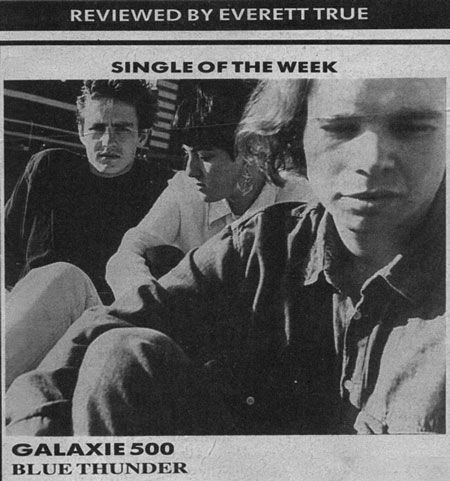 The record was given the Single of the Week accolade in the Melody Maker's singles reviews on 22 January 1990 and was a pretty important step in Galaxie 500's success. The latter half of this sentence works fine, but really I should have said: Dean Wareham can’t quite hit the notes he’s reaching for, and man that’s disorientating over such a meticulous rhythm section. The sax just confused the hell out of me. Still does.